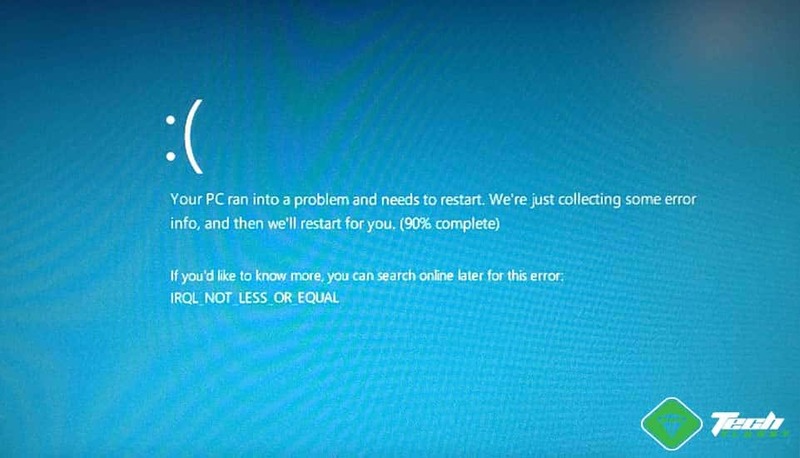 Blue Screen of death is a pretty common and unwanted error on Windows. To fix DRIVER_IRQL_NOT_LESS_OR_EQUAL, you will get some instructions from this article. It is a very blue screen error on Windows 10. There are many reasons that may cause Driver IRQL Not Less Or Equal BSOD. But, In most cases, It occurs when there is a problem with the network driver. In some cases, Antivirus or third-party firewalls like Bitdefender, Kaspersky, ESET etc. may create a conflict and you encounter this type of problems. Sometimes, This error includes a code like “STOP 0xD1, But, How can you troubleshoot it? Fortunately, It is really easy to solve your problem. You have several options to get rid of this problem. I recommend you to follow these methods one by one. To roll back, follow these instructions. First of all, Open the start menu, type devmgmt.msc and hit enter. Then, Right click on the network drivers and go to their properties one by one. Go to Driver tab and click on Roll Back. It may fix your problem. In case, The first method fails, try to uninstall the network drivers. It may help you. To do it, follow these instructions. At first, Open the Device Manager like method 1. Windows will automatically re-install the driver. If you are lucky, it will solve DRIVER_IRQL_NOT_LESS_OR_EQUAL. In some cases, first two methods may fail. It is because, Something else is causing blue screen error on your PC. You can find it out but that would be a bit long process. The most common culprits are epfwwfp.sys or bddci.sys. So, You can delete them and see if it solves the problem. To do it, you can simply go to C:\Windows\System32\drivers\ and find these .sys files. If you use ESET, you will see epfwwfp.sys. Bitdefender users will see bddci.sys. Just delete it. Some users, May not be able to access Windows. Because The DRIVER IRQL NOT LESS OR EQUAL may appear before windows starts properly. In this case, You can boot into recovery mode and delete these files. To do it, follow these instructions. At first, Boot into recovery mode. You can either follow the method one from here or use a bootable Windows media. In this case, Insert bootable pendrive, choose repair your computer when windows setup window appears. Then, Follow the instructions from that link. Make sure, In recovery mode, you have navigated to Troubleshoot > Advanced Options > Command Prompt. Now, Restart your PC. It should resolve the problem. As you are not still sure what is causing that BSOD, you can disable or uninstall the antivirus or firewall program temporarily to see if it helps. You also can boot into clean boot to identify the problematic programs and solve your problem. The best way to identify the actual reason behind any blue screen of death is analyzing minidump file. It will help to find the problematic driver that is causing any BSOD. So, To fix DRIVER_IRQL_NOT_LESS_OR_EQUAL, it can be a very good option. To analyze minidump, find the corrupted driver, follow the instructions from this article. These are the most effective methods. Else, You can try to disable PageFile and see if it helps. As last option, you can re-install Windows. Hopefully, These tips will help to troubleshoot DRIVER_IRQL_NOT_LESS_OR_EQUAL on Windows 10. If you want to add your opinion or know something, you can comment.